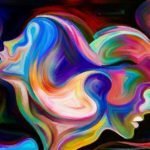 While it’s likely that you’ve heard of Venus or Aphrodite before, have you ever really thought of how this energy affects you on a daily basis or how it expresses uniquely through you? Have you ever felt into Venus on a truly deep level? In today’s episode, we discuss Aphrodite magic, how to open to her gifts on a soul level, and what it means when Venus goes retrograde. 31.10: Asking Ourselves: What is Our Relationship to Beauty? 45.25: Q and A – How Do We Not Misuse the Power? 50.20: Q and A – Is There Going to Be a Mystery School in the U.K.? 50.40: Q and A – What are Some First Thoughts Around Venus Conjunct South Node? 55.50: Q and A – How Do We Stop Giving the Sexual Life Force Power Away?